This piece was commissioned by the Golden Civic Foundation. It was to be sized just over life and a half. The statue ended up close to twenty feet tall and ten or eleven feet long. 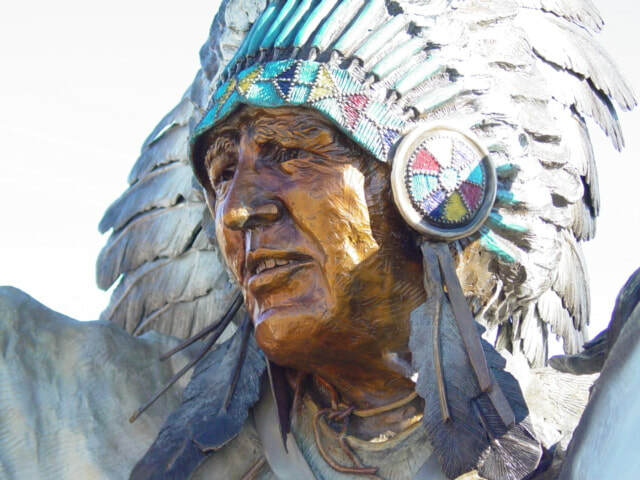 As an entry way sculpture into the city of Golden Colorado, it depicts Native American United States Senator Ben Nighthorse Campbell on his black and white paint horse. When the committee talked to the Senator he said he'd like to have the statue in full Native American regalia and costuming, and he'd like to be sitting on his black and white paint horse. I came up with a design of a horse going uphill, facing east, and originally called "Saluting The Dawn". Ben Nighthorse Campbell upon seeing his portrait teared up and said to me something along the lines of, "You have never seen me before, and we have never met, but this is me. .. ...This is the best portrait I have ever had." 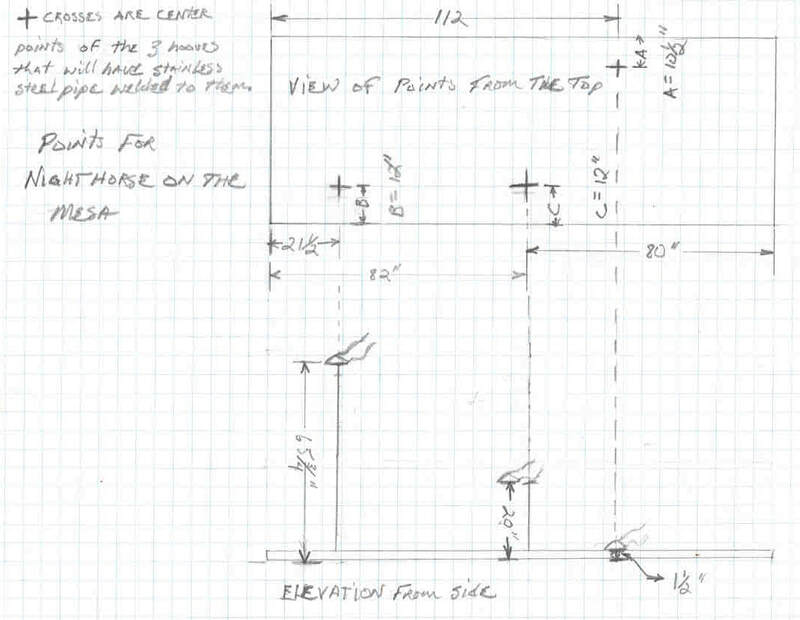 "I made the armature based on a grid system, using a plumb bob, I made sure exactly where the coordinates would be so i knew where the pylons in the ground would have to go, and what their elevation would be. So, when they sat the statue down with a crane they all three matched up perfectly and Bill Freeze welded the stainless steel."